Most-recently modified on 08:56:50 01-Dec-2004. 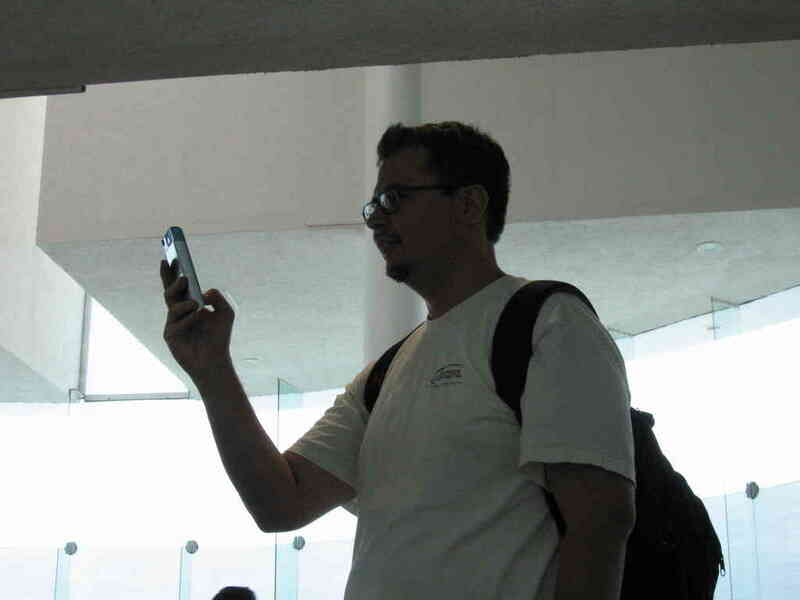 These pictures were taken from my trip to Veracruz city in Mexico, where I presented a 4-hour "introduction to Perl objects" and a keynote on the past, present, and future of Perl. It was my first time flying into Mexico, and being in Mexico for more than two days. Richard Stallman talked about "software libre" - his traditional talk about free software, but delivered in straightforward spanish. I captured two snippets of it with my Canon Powershot S70 in movie mode. The conference had me out of the US for thanksgiving day, so I found a restaurant that had Turkey enchiladas to try to get a bit of the tradition. Richard Stallman presenting "software libre"